In my summer blog series, 3 Resources I’m Loving, I’m sharing my favorite 3 resources at the moment for different purposes! Check out my last post about Music & Relaxation. One of the most important tools I carry around with me as a traveling music therapist is my iPad. I use it for a variety of purposes: documentation, scheduling, recording, pulling up youtube videos, fun apps for clients to earn…you name it, and I probably use my iPad for it! Below are three apps I’ve been using a lot this summer to work on goals ranging from communication and choice making to social skills and following directions. 1. Bla Bla Bla. Price: FREE! This app is TOTALLY AWESOME for communication goals! Bla Bla Bla is a sound reactive app that uses the microphone on your iPad to control images on screen. 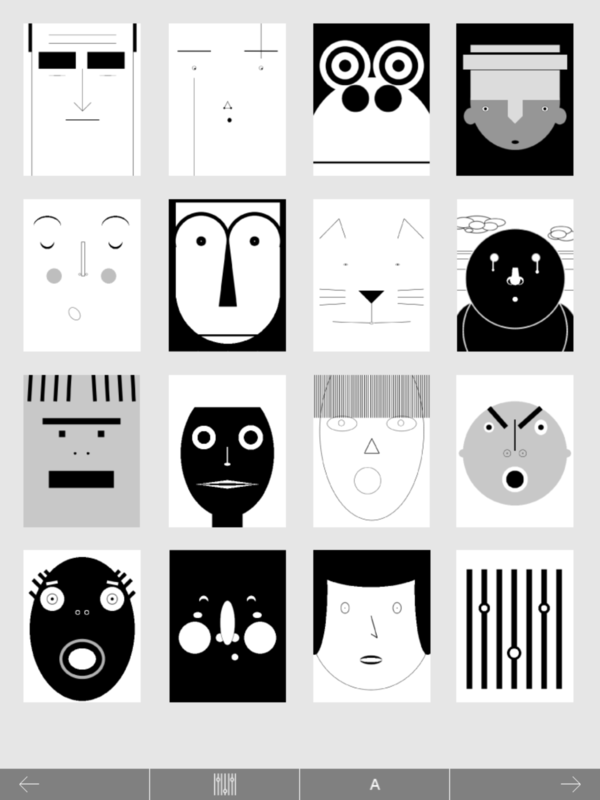 Users can select a fun face from the menu, which will begin move as they vocalize. If it’s a soft sound, the face will move a little bit, but it really goes bonkers as you get louder. It’s fun demonstrating for clients and watching as they realize that the only way to move the face on screen is to vocalize. I’ve seen kiddos shake it, touch it, etc…but it’s really exciting when they start to make the connection and begin to use their voice. This app is for all your cool kids and teens who dream about becoming a DJ. *Insert Dubstep Music Here*. The Beamz library contains tons of songs in different genres (anything from HipHop to Bluegrass) with corresponding sound effects that can be played simply by swiping purple lines on the screen. No matter what sound you hit, it’s guaranteed to sound great and go with the music. You can even record your song and listen back to it! I’ve used this app for social skills (turn taking, following directions, imitation), communication and emotional expression. 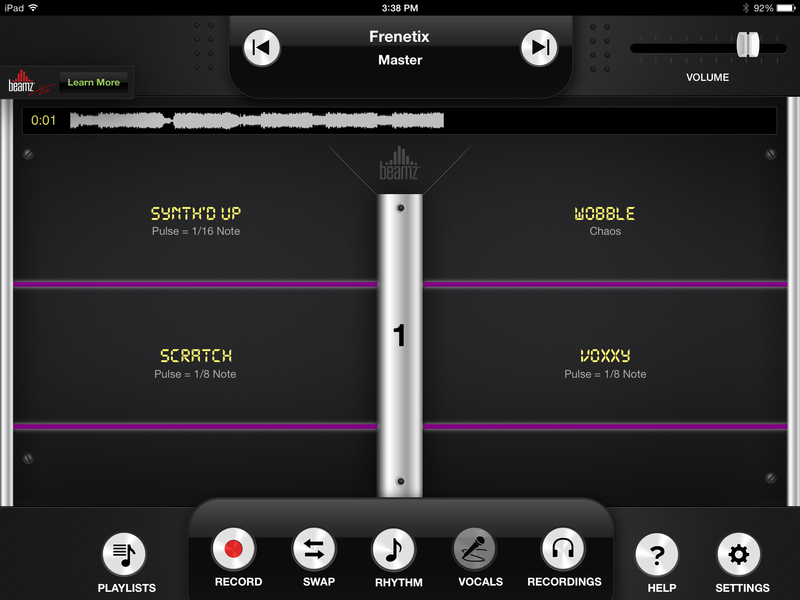 I loooove using this app in sessions because it’s appropriate for all ages, has a high-quality sound and is really easy to use. 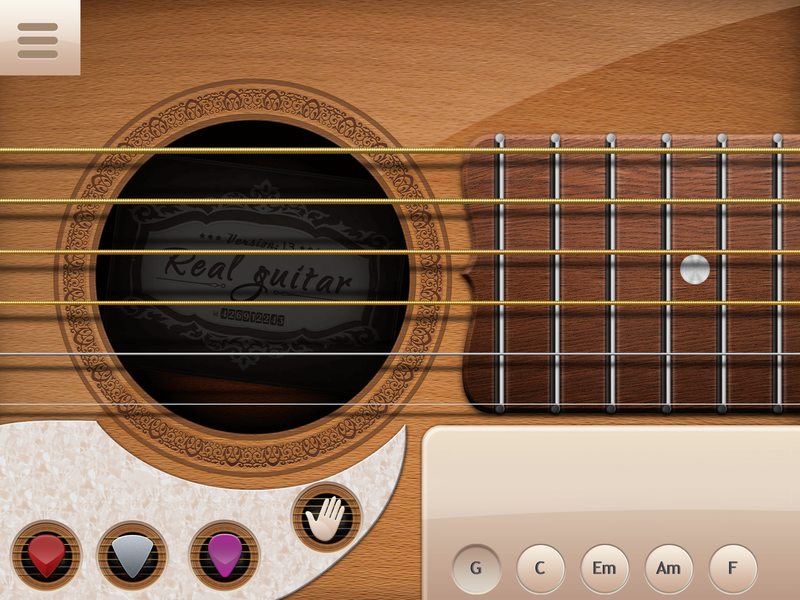 Real Guitar allows you to select desired chords, put them in whatever order you want and pick a strumming or fingerpicking pattern. Clients can play along with you (or you can follow their lead) or you could even play along with preferred recorded music. This is awesome for clients working on fine motor skills—I have them point their index finger and practice strumming on both the iPad and my actual guitar.